Miles & More® World Elite Mastercard® is a Barclaycard-issued travel rewards credit card. Its loyalty currency is the ever-versatile Miles & More award mile, which can be redeemed for Lufthansa airfare and upgrades, Miles & More partner airfare and upgrades, and a slew of non-airfare items, such as hotel stays, car rentals, gift cards, general merchandise, and more. If you travel to or within Europe with any regularity, you’ve probably flown on a Lufthansa-coded route. Even if you haven’t, this card might be worth your while: The Miles & More alliance serves some major U.S. airports, and you can redeem your Miles & More award miles for participating transatlantic, internal European, and Eurasian flights at face value. Though they’re subject to change, Miles & More partners include: Adria Airways, AirDolomiti, Austrian Airlines Group, Brussels Airlines, Croatia Airlines, LOT Polish Airlines, Lufthansa, Lufthansa Regional, Lufthansa Private Jet, Luxair and SWISS. Miles & More World Elite Mastercard is every bit as versatile as popular U.S. airline credit cards like Gold Delta SkyMiles Credit Card from American Express (Delta Airlines) and Citi AAdvantage Platinum Select World Mastercard (American Airlines), but it’s not perfect. Still, it deserves more press than it gets. Here’s what you need to know about this under-the-radar airline rewards credit card. Miles & More World Elite Mastercard has a two-part sign-up bonus. First, when you open your account, pay the first year’s annual fee, and make your first purchase, you get 20,000 bonus award miles. Second, when you spend at least $5,000 in eligible net retail purchases within 3 months of opening your account, you get an additional 30,000 bonus award miles. The total potential sign-up bonus is worth 50,000 award miles. That’s enough to redeem for at least one round-trip economy flight anywhere in Europe on Lufthansa and participating Miles & More partners. It’s also enough for a one-way flight between the U.S. and Europe on Lufthansa and Miles & More partners. 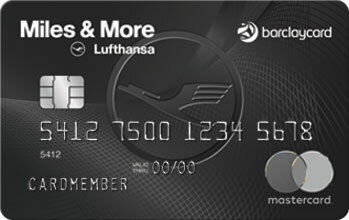 Miles & More World Elite Mastercard earns unlimited 2 award miles per $1 spent on purchases with Lufthansa and integrated Miles & More partners. All other purchases earn unlimited 1 mile per $1 spent. There’s no limit to how many miles you can earn in a given time frame. The best way to redeem your miles (and preserve their value) is for award travel on Lufthansa and partner airlines. You can also redeem for non-airfare items: gift cards (variable redemption minimums), general merchandise (variable minimums), hotel stays (3,000 miles per night and up), and rental cars (3,000 miles per rental and up). These thresholds are subject to change and may come with additional limitations. Every year your account remains open and in good standing, you get a complimentary companion airfare voucher that you can redeem for a free companion fare (less taxes and fees) with a paid fare on any Lufthansa-coded flight (no partner or codeshare flights) between the U.S. and Europe, Asia (including the Far East), Africa, or the Middle East. Depending on how you redeem, this benefit can be worth $500 or more per year. 15% Discount on Hotel and Car Rental Redemptions: When you redeem your Miles & More award miles for hotel stays or car rentals at Lufthansa’s travel partners, you get a 15% discount on the redemption. For instance, a hotel redemption that normally requires 20,000 miles requires just 17,000 miles. Convert Award Miles to Status Miles: If you’re a frequent Lufthansa flyer, you can convert your Miles & More award miles into status miles at a 5-to-1 ratio – for instance, 10,000 award miles translate to 2,000 status miles. You need 35,000 status miles to reach Miles & More’s Frequent Traveler loyalty tier, which has benefits that include a 25% boost to all mileage earnings and Business Class check-in privileges. Status miles are normally earned on every completed Lufthansa flight segment, subject to the terms of the Miles & More program. Complimentary Lounge Vouchers: Every year your account remains open and in good standing, you get two complimentary Lufthansa Business Lounge vouchers. They’re good for free access to more than 100 Lufthansa Business Lounge locations around the world. Mastercard Travel Assistance: As a cardholder, you enjoy 24/7/365 access to Mastercard Travel Assistance, the issuer’s in-house concierge for busy, frustrated, and stranded travelers. Trip Cancellation and Interruption Coverage: This coverage provides financial protection when your trip is canceled or interrupted due to certain covered reasons, subject to exclusions and limitations. Baggage Delay Insurance: When checked baggage on a common carrier is delayed for certain covered reasons, you’re entitled to reimbursement up to the policy’s coverage limits and subject to certain restrictions. This card waives interest (0% APR) on balance transfers for the first 15 months. To qualify, transfers must be made within 45 days of account opening. There is no comparable 0% APR promotion for purchases. The annual fee is $89. It’s waived for Senator and HON Circle members, Miles & More’s two highest status tiers, for as long as they maintain their statuses. There is no foreign transaction fee. Balance transfers cost the greater of $5 or 3%. 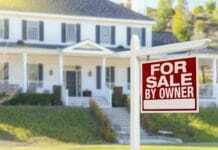 Cash advances cost the greater of $10 or 5%. Late and returned payments cost up to $37. Miles & More World Elite Mastercard requires excellent credit. Potentially Valuable Companion Fare. Miles & More World Elite Mastercard’s annual companion fare benefit promises to offset the cost of one international economy flight each year. Depending on the underlying dollar cost of the flight for which you redeem your companion certificate, you could save $1,000 or more on the cost of your overseas flight. That’s nearly unheard of for a travel rewards card with an $89 annual fee. There are some important restrictions to keep in mind here, such as the Lufthansa-only (no codeshare) requirement, but they’re manageable considering the potential benefit. Solid Sign-Up Bonus. This card’s 50,000-mile sign-up bonus is enough to cover the cost of a round-trip economy flight anywhere in Europe, with enough left over for a one-way economy flight within the region. Longer itineraries may be possible on Lufthansa-coded and Miles & More partner flights. To earn the entire bonus, you need to spend $5,000 within 3 months. Long 0% APR Promotion for Balance Transfers. For a travel rewards credit card, Miles & More World Elite Mastercard has an unusually long 0% APR balance transfer promotion: 15 months for transfers made within 45 days of account opening. 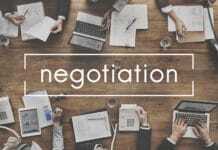 If you’re dealing with stubborn, high-interest credit card balances and haven’t had luck with other methods, such as debt snowflaking, it’s worth looking into this card solely for the balance transfer benefit – provided you can offset the first-year annual fee by claiming the sign-up bonus. Flexible Redemption Options. You can redeem your accumulated award miles for a lot more than Lufthansa airfare. More than a dozen Miles & More partners accept Miles & More award miles too. If you don’t need or want to redeem for flights right away, you can choose from hotels, car rentals, and non-travel items as well. 15% Discount on Hotel and Rental Car Redemptions. As a cardholder, you’re entitled to a 15% discount on award stays and rentals at participating hotel and car rental companies. While this benefit alone won’t earn Miles & More World Elite Mastercard a spot on our list of the best hotel credit cards, it’s definitely welcome news for cardholders who want to redeem their award miles for something other than Lufthansa or Miles & More flights. Complimentary Business Lounge Vouchers. It’s not quite a game-changer, but the inclusion of two complimentary Lufthansa Business Lounge vouchers each year is a nice token of appreciation – and a great way to improve a slog through the airport. Lufthansa Business Lounges are found in more than 100 major airports, including popular U.S. hubs like Denver and Chicago. Miles Don’t Expire. As long as your account remains open, in good standing, and nominally active, your miles never expire. Rank-and-file Miles & More members don’t have this privilege: Without the credit card, miles expire 36 months after they’re earned. No Foreign Transaction Fee. Miles & More World Elite Mastercard has no foreign transaction fee. If you regularly travel overseas, as many frequent Lufthansa flyers do, this could substantially reduce your travel costs. No Penalty APR. This card doesn’t charge penalty interest. If you occasionally miss your statement due dates because of unpredictable cash flow or unexpected expenses, this is a big help. $89 Annual Fee. Miles & More World Elite Mastercard has an $89 annual fee that’s not waived during the first year. While plenty of travel cards cost more, this is still a high hill to climb for frugal, occasional travelers who can’t earn rewards fast enough (or use value-added benefits, such as the complimentary companion fare) to offset it. For a fee-free alternative, check out the Expedia+ Card from Citi. Low Baseline Earning Rate. This card’s baseline earning rate – just 1 mile per $1 spent on most purchases – is quite low. If you’re looking for a travel card that rewards a wider range of spending, look to Capital One Venture Rewards Credit Card. Poor Conversion Rate to Status Miles. It’s nice that you can convert your award miles to status miles and accelerate your progress toward higher Miles & More status tiers, but the 5-to-1 conversion rate is less than ideal. Unless you’re close to the next-highest status threshold, you’re better served by holding onto your miles until you can redeem for award travel. For a more reliable status-earning system, look to a card that ties your status tier to card spending – for instance, Chase Southwest Airlines Rapid Rewards Premier Credit Card pays out 1,500 Tier Qualifying Points for every $10,000 spent annually. Outside frequent flyer circles, Lufthansa isn’t a household name in North America. Homegrown U.S. airlines like American, Delta, United, and even Southwest are far better known. But that doesn’t mean Miles & More World Elite Mastercard has nothing to offer folks who don’t consider themselves jet-setters. If you have the ability to fly with any of Lufthansa’s Miles & More partners, your Miles & More award miles won’t go to waste. And you’ll benefit from one of the more generous and versatile airline credit cards in the sub-$100 annual fee category. Miles & More® World Elite Mastercard® is ideal for regular international travelers who can take full advantage of the companion fare and airport lounge benefits. However, thanks to a solid sign-up bonus, Miles & More reciprocity, and unusually flexible redemption options, it’s also appropriate for domestic travelers – including those who prefer non-airfare redemptions like hotel nights and car rentals. Due to the long 0% APR balance transfer promotion, it’s also appropriate as a shorter-term product for frequent travelers dealing with high-interest credit card debt elsewhere. On the other hand, if loyalty status or rapid point earnings are top concerns, this card isn’t ideal. Key benefits include the companion fare benefit (potentially worth upwards of $1,000 each year), the 35,000-mile sign-up bonus, the 15-month 0% APR balance transfer promotion, the varied and flexible redemption options, the 15% discount on redemptions with hotel and car rental partners, the complimentary Lufthansa Business Lounge vouchers, the fact that miles don’t expire with nominal card usage, and the foreign transaction fee and penalty interest waivers. Drawbacks include the $89 annual fee, the poor baseline earning rate, and the poor conversion rate to status miles. Overall, this is a fine travel card for frequent international travelers and balance transfer candidates, but it’s not completely lost on domestic travelers either.